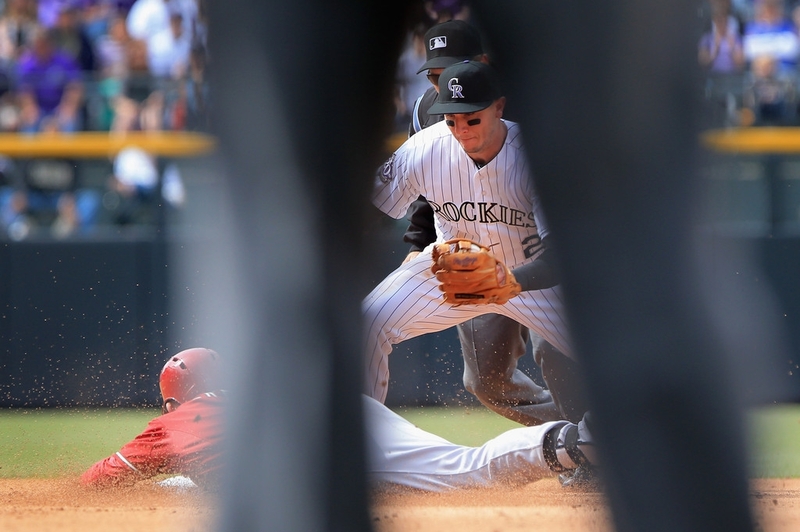 Gerardo Parra #8 of the Arizona Diamondbacks slides in under the tag of shortstop Troy Tulowitzki #2 of the Colorado Rockies for a double at Coors Field on April 21, 2013 in Denver, Colorado. The Diamondbacks defeated the Rockies 5-4. - high-definition photo for free download.